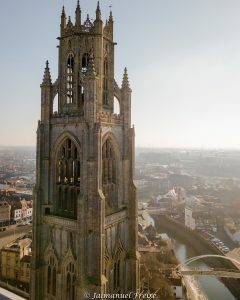 The Boston Stump Restoration Trust is an independent charity concerned with fundraising for the upkeep, development, maintenance and preservation of the historic fabric of St Botolph’s Church and the historic Church House and adjacent Blenkin Memorial Hall. The trust was founded in 1978 and since then has raised money for repairs and restoration work all over St Botolph’s. This has included the new visitor facilities in the church, restoration and repairs to the tower, repairs to the church roof, restoration of the Cotton Chapel and the installation of new memorials including those to puritan sailors who travelled to the Massachusetts Colony. The Restoration Trust was involved in recovery efforts following the tidal surge and flood of 2013 and in raising funding for the currently ongoing National Lottery Heritage Fund project ‘A Passion for People’. The Restoration Trust, together with the Friends of Boston Parish Church, make up the recently launched Guild of St Botolph’s. 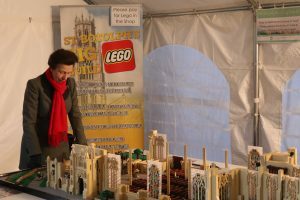 Her Royal Highness the Princess Royal is patron of the Boston Stump Restoration Trust.